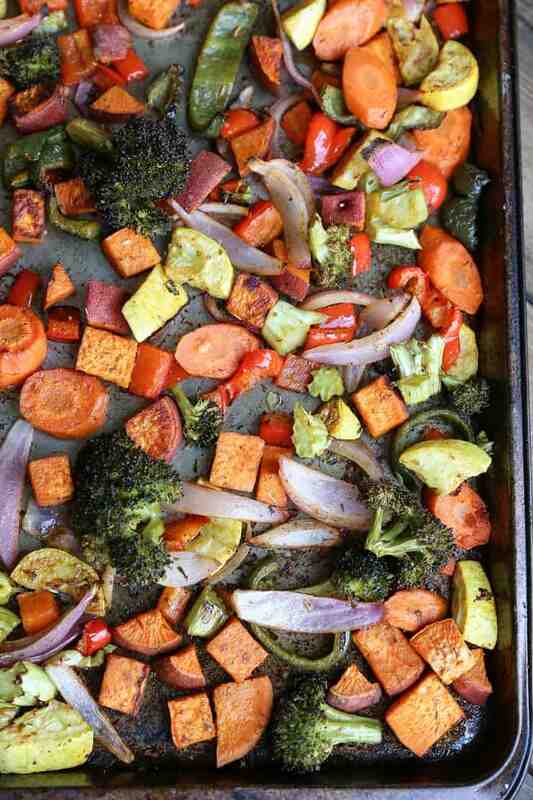 A basic recipe for roasted vegetables that never fails to impress! This healthy and delicious side dish is perfect for meal prepping or serving a group of people. In all likelihood, if I’ve made you dinner in real life, I’ve made us roasted vegetables. It’s one of those dishes that never fails to satisfy, regardless of with whom I’m dining. It’s easy to make in a large volume, and even those who don’t normally eat many vegetables are impressed and go back for seconds! Or thirds.. 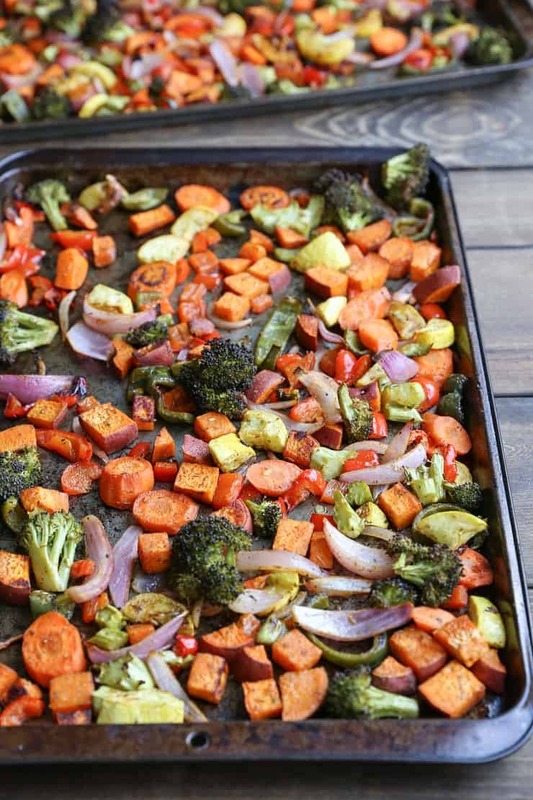 If there’s one type of food over which I undoubtedly have zero self control, it is, the oven-roasted vegetable! I was strongly tempted to title this post “The Best Roasted Vegetable Recipe Ever,” or “The Only Roasted Vegetable Recipe You’ll Ever Need,” but because I posted The Best Vegan Caesar Salad on Monday, I figured I would cool it on the ego-inflamed titles for a hot second 😉 Truly, whenever someone is at a loss on what to make for dinner whether or not they’re cooking for themselves or serving guests, I always recommend this here recipe. Since that discovery, I’ve shown you Orange Ginger Turmeric Roasted Root Vegetables (<- SO good!) and Roasted Vegetables with Asian Garlic-Ginger Glaze, but I haven’t shown you my current go-to. My current go-to is a no-frills, easy peasy approach that only requires the vegetables, olive oil, sea, salt, and whatever spices and dried herbs your heart is drawn to. Honestly, I don’t spend much time making sauces or deciding what flavors to toss in. My favorite spices are dried oregano, parsley, paprika, garlic powder, onion powder, cumin, chili powder, and sometimes a dash of garam masala. Basically any iteration of the above results in a winning roasted veg. How I choose my produce is based largely on what’s looking good in the produce section. 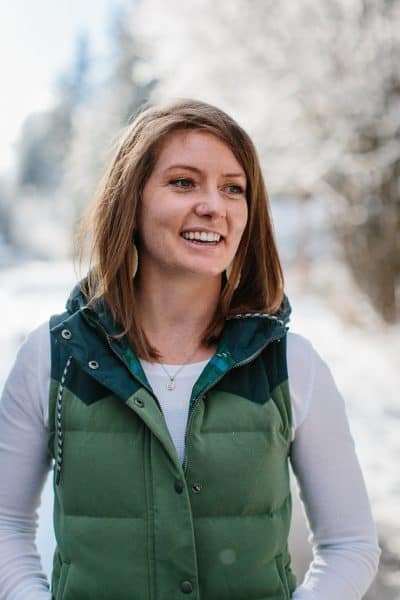 This usually means selecting seasonal veggies, but virtually anything that catches your eye at the store, farmer’s market, or is given to you in your CSA box will work! The only thing about this recipe that may or may not make you roll your eyes, is I divide everything between two baking sheets. This means I put half the broccoli, half the onion, sweet potato, etc. on each baking sheet. Then I drizzle half the oil over each baking sheet, followed by half the spices. If you have a mixing bowl large enough, please do feel free to toss everything in the mixing bowl then spread it over the baking sheets! If you’re one of those folks who cooks intuitively, you can go rogue and you don’t need to pay much attention to the amount of oil or spices – just know that I go pretty heavy handed on the spices and the sea salt, because I like big flavors! A note about bake times: Depending on your oven, baking tools, and elevation, bake times will vary. My recommendation is to keep that oven door closed and allow the veggies to go the full length of time (35 minutes) – if they aren’t looking golden-brown and crispy after 35 minutes, keep ’em going until they have nice color! 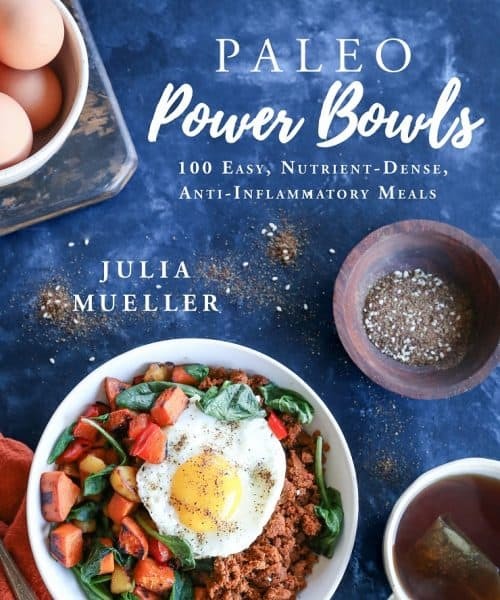 You can meal prep these ahead of time and munch on them throughout the week, or serve them up at any dinner/potluck/BBQ/picnic you’ll be attending! 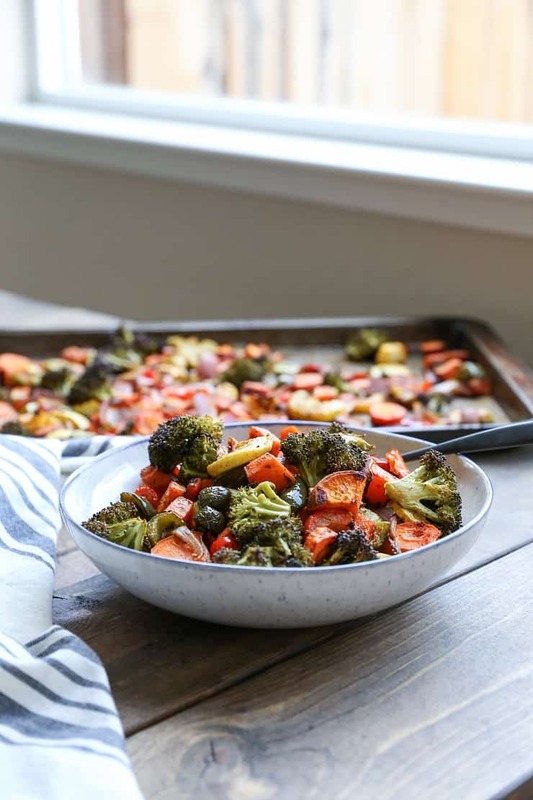 For those of you who are looking to eat healthier and/or are encouraging a friend or family member to eat healthy, these roasted vegetables are the perfect gateway drug to convince yourself or others it’s possible to eat well and actually love it! I hope you enjoy this dish that I, myself, do so love! Questions? Holler at your girl! 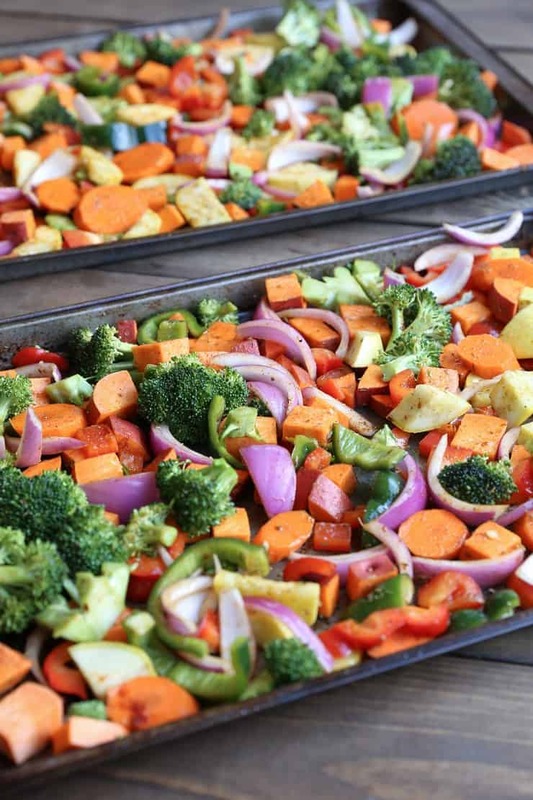 Divide all of the vegetables between two baking sheets. Drizzle half the olive oil and sprinkle half the salt and spices over each baking sheet. Use your hands to toss everything together until the vegetables are all coated with spices and oil. Place both baking sheets in the oven (aim for the center racks) and roast 25 minutes without touching. Remove the vegetables from the oven, give each tray a quick stir or shake, and place them back in the oven. Roast 10 minutes more, or until vegetables are golden-brown and have reached desired done-ness. Serve alongside your favorite entree! 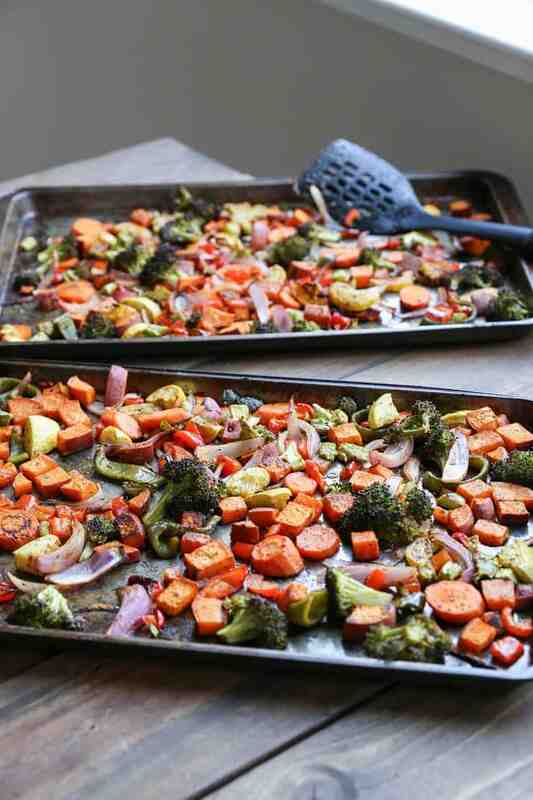 Roasted trays of veggies are LIFE to me! If I have odds and ends or need to figure out what the heck I’m eating for the week, it’s always roasted veggies to the rescue! I love your roasted vegys! I like the idea of making enough for a crowd and having plenty of leftovers for lunches. Can you make these and have them next day or day after? What’s the best way to store so they stay good? You can definitely store them and enjoy the next day! I store them in a sealed container in the refrigerator and either re-heat them in the oven or in a skillet on the stove top 🙂 Hope you enjoy! I’m right there with you on the love for the roasted veg. There’s not much better in my book! I love this combo with all of those seasonings and would gladly eat a huge bowl for dinner. Also, I always have two cookie sheets in my oven and I think everyone should. Just saying. Your suggestion of using the mixing bowl is surprisingly genius! I’ve been tossing everything on the baking sheet and it gets pretty messy. Never thought to mix ahead of time, thank you! 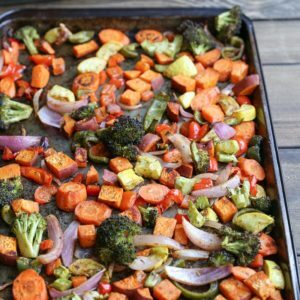 Is there any way to make roasted vegetables without any oil? I made this last night and it was a huge hit. Sprinkled with curry powder and drizzled with balsamic before serving. My hubby said this recipe is a keeper! Thank you so much!